The Huawei P9 will be introduced on April 6. Many leaks, in the past, have pointed to key specifications and features of this device. Thanks to AnTuTu, we now have the full configurations and the benchmark score of this new flagship. 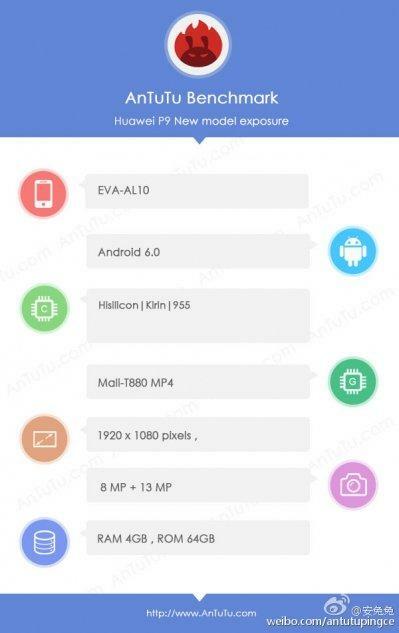 According to AnTuTu listing via Weibo, the Kirin 955 chipset-powered Huawei P9 has Mali-T880 MP4 GPU onboard. This device comes backed by 4 GB of RAM, similar to high-end flagships like the Galaxy S7 and LG G5. The P9 comes equipped with 64 GB of native storage space and it reportedly flaunts a 5.2-inch display, aided by a Full HD screen resolution of 1,920 x 1,080 pixels. When it comes to camera specification, this device apparently features a dual-camera setup. Even though, AnTuTu listing shows “8 MP + 13 MP,” GSM Arena reminds that this is not the combination of the dual camera set up. This benchmark site usually lists the front and the back sensors, GSM Arena reported. Therefore, one of the lenses in the main camera will be 13-megapixel, while the other is unknown. In addition, there is also an 8-megapixel front-facing snapper for selfies. On the software front, Android 6.0 Marshmallow OS is believed to run the device, straight out of the box. Speaking of benchmark score, the Huawei P9 has reportedly amassed 96,043 points. When compared to the recent releases like Samsung Galaxy S7, LG G5 and Xiaomi Mi 5, which scored more than 130K, the P9’s Kirin 955 chipset and the Full HD resolution do not stack up. The silver lining, however, is that the new Kirin 955 chipset is faster when compared to the Kirin 950-powered Huawei Mate 8. Price Raja, meanwhile, says the P9’s score is 3000 points short of the deca-core processor and MediaTek's Helio 25 chipset powered Meizu Pro 6. 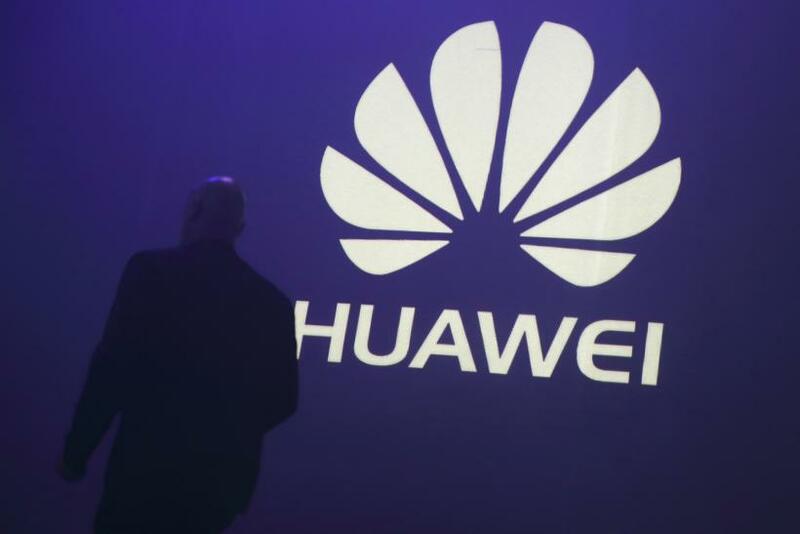 In any case, readers should note that, the Chinese tech giant has not confirmed any Huawei P9 specifications thus far.